In an age defined by typing and texting, it’s easy to dismiss handwriting as an obsolete form of communication. Our kids aren’t taught cursive. We take notes on keyboards. Most of us limit our handwriting to sticky notes or whiteboards. Penmanship is an anachronism. Still, I used to be good at it. My mom gave me a calligraphy set when I was in the 8th grade, and I got serious about script. I started to see letters as art forms. The rules of calligraphy began to shape my handwriting. After a while, my sloppy cursive started looking better. Over time, I learned other handwritten forms. I took a drafting class in High School, and learned the precise, orderly capitals of blueprints. As I got into advertising, I paid more attention to fonts. I even adopted some of my favorite letter shapes, like double-loop “g”s. Eventually, these scripts merged together into a messy hodgepodge. It’s not uncommon for one page of my notepad to feature 3-4 distinct handwriting styles. Sometimes they change in the middle of a sentence. Also, my confused alphabets weren’t the only factor making my writing ugly. I started to develop nasty hand cramps. If I held a pen for more than 10 minutes, my right hand and forearm would cramp. My script would go from bad to illegible. A couple months ago, while looking at my work notebook, it struck me. My handwriting sucked. And that hurt. I love typography. I revere alphabets. 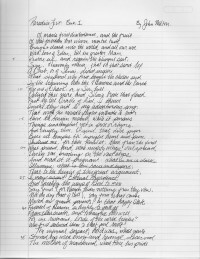 I’m mesmerized by original manuscripts. I felt like my sloppy handwriting disrespected communication itself. So, I decided to go back the drawing board and learn how to make a beautiful alphabet freehand, with a pen. First, I believe that when we type, we lose a connection to the words. I’m a fast typist. Words flow through my fingers. But it all happens so fast, I don’t retain anything in my mind. It’s like the words pass through me. When I type notes in a meeting, I’m too busy recording to pay attention to the speaker. Humans — being meat-based — evolved to operate best in an analog world. The more we rely on digital interfaces, the further we remove ourselves from a natural state. In other words, handwriting is a more true and human means of accomplishing what we mean our writing to accomplish. It forces us to connect our thoughts to our bodies. To process ideas physically. To integrate the whole brain and body, in the service of thinking and learning. Second, as a writer and copywriter, I love typography. Typefaces are magical. They’re the actors who give our words a voice. I’m constantly amazed at the way a letter shape, line thickness, or cut of a serif can evoke a personality. But if scripts convey a personality, then my current handwriting conveys sloppiness, laziness, and schizophrenia. And so, I’m going to re-learn nice handwriting. I’m doing it for myself. I’m doing it to bring some beauty back to something I do every day. I’m doing it to honor the letters and words I live by. I’m doing it to keep better notes, send better thank-you’s, and write nicer birthday cards. The Duke University Digital Advertising Archives are a treasure trove for any ad geek (like me) looking to root around in our history. I didn’t know it even existed until a couple days ago; I do now. 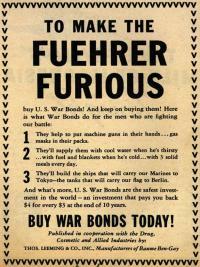 Tonight’s object of fascination was war bonds. It’s hard to imagine selling people on giving money, from their own pockets, to fight a war. We live in a cynical age, and the people running our armies are excellent at proving us justified in our cynicism. But 70 years ago, the people believed in their sacrifice, and that winning that war would make the world a better place. They were right. 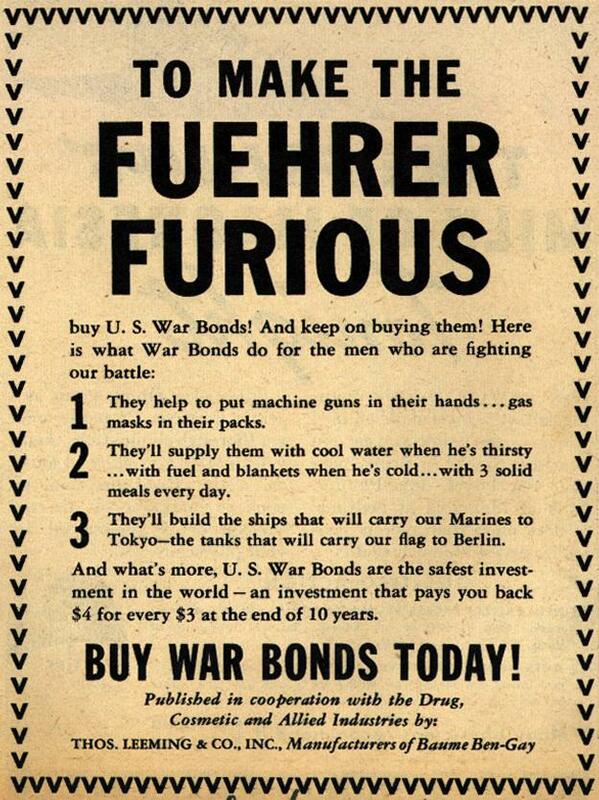 And war bonds were a great way to join the effort, without, you know, joining the effort. For the past few weeks, I’ve been coming home from work, ducking into my office, cracking my old Norton Anthology of English Literature and slowly writing out a few dozen lines of Paradise Lost. Channeling forces me to slow down and fully digest a work of art. 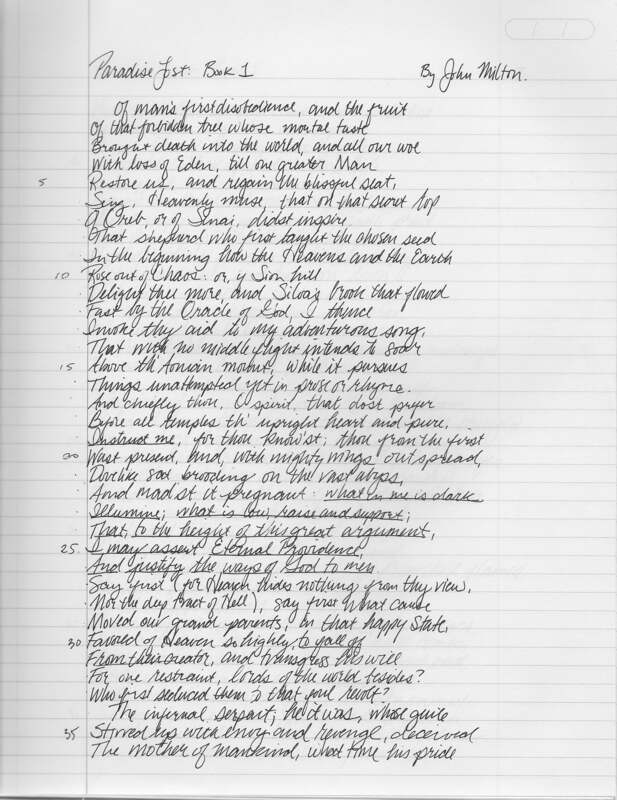 Moving at the speed of handwriting, I’m more able to appreciate the rhythm that glides from word to word. I can savor an iamb; marvel at the four-word sentence with the same rhythmic structure as a 10-word sentence. I don’t catch these things when I’m reading; I can’t control the urge to get to the bottom of the page. The pen-to-paper connection forged by longhand is satisfying and physical. We’re analog creatures. I believe it’s awakening connections in my brain. Even if I can’t write like Milton, I can train my mind and body to understand how it feels to have great language flow through me. I’ll share a few pages after the jump. For weeks, I hadn’t heard any new music that interested me. Then, this. Lush, haunting, melodic, beautiful. A couple days later, Publicis and Omnicom announced their merger, creating the world’s most gargantuan ad agency. Confession: sometimes I check my phone when my wife is talking to me. It’s even worse when she discovers that the “work e-mail” I’m checking is actually me checking five new likes for my latest #corgi picture on Instagram. Fact: when I do more than one thing at one time, neither thing gets more than 50% of my intelligence. And, numerically speaking, when I divide my IQ by 50%, it puts me in the “special needs” category. Surprise! Agencies can’t retain talent. Small agency diary: I am yogurt man. Recently, I volunteered to help our client, Smári Organics, at a food investor’s fair. Manage the sample table. Deliver the spiel. Invite people to try the yogurt.